Starting May 4th 2015, visitors and locals in Pigeon Forge can stop by Pigeon Forge's brand new seafood restaurant! Harpoon Harry's Crab House promises to serve delicious seafood and reasonable prices right on the Pigeon Forge Parkway. The latest addition to the Pigeon Forge restaurant scene comes from a group well known for quality food and great atmosphere. Better yet, this restaurant is a full family experience with live music, an arcade, and retail shop. A stage and and dance floor make Harpoon Harry's a popular venue for rock and country bands in the area. With a beautiful spot on the river in Pigeon Forge, diners are bound to love this restaurant with plenty of indoor and outdoor seating. Once complete, Harpoon Harry's will be one of the largest restaurants in East Tennessee with room for 650 diners! Altogether, there will be 26,000 sq. FT of dining space, all of which is beautifully decorated. The interior will boast custom woodwork and features rough hewn lumber from East Tennessee including black walnut, cherry, and red cedar trees. Custom carved sculptures of dolphins, crabs, mermaids, and more will adorn the bar. The restaurant will come complete with a sushi bar and wine room as well. All in all, nearly $3 million has been invested in this restaurant location. Harpoon Harry's Crab House combines two previous restaurant concepts in new and exciting ways. There's plenty of reasons to add a stop at this new crab house in Pigeon Forge during your Smoky Mountain vacation! 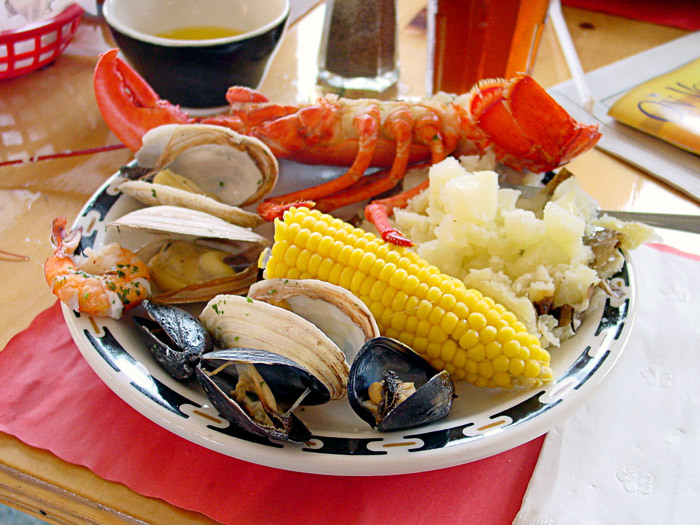 Harpoon Harry's is first and foremost a crab house, so this Pigeon Forge seafood restaurant is a great place to find steamed crab, muscles, oysters, and more! Much like it's other restaurant branch in Punta Gorda, FL, this restaurant is will known for its delicious Conch Fritters, Grouper, Fired Calamari, and crab cakes. Better yet, this restaurant also boasts an oyster bar, sushi bar, a wine bar, and several regular bars. For those not interested in seafood, the menu will also feature a host of other options like burgers, steaks, sandwiches, pasta dishes, soups, and salads. Famous for waterfront restaurants in Florida, the Harpoon Harry's in Pigeon Forge now rests on the banks of the West Prong of the Little Pigeon River. This fitting location will make Harpoon Harry's a great place to enjoy your dinner outside while listening to the gentle sounds of the river. A large outdoor deck on the riverside will make to perfect spot to indulge in some top-notch seafood in Pigeon Forge, TN! The restaurant will boast a great spot on the Parkway at Traffic Light 2B near Magiquest and the Smoky Mountain Brewery. All in all, you won't want to miss this fantastic new addition to Pigeon Forge, Tennessee!